Three new communicant members have joined the Resurrection Lutheran Church in Kyiv. Having studied the Word of God as it is explained in Small and Large Chatechisms of Dr. Martin Luther, brother Volodymyr Vikharev and sisters: Oleksandra Petrenko and Natalia Syvulia have entered the full membership in the Ukrainian Lutheran Church. Natalia was ill on October 31 and could not participate in the festive Reformation worship service. 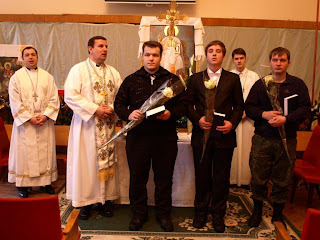 In the beginning of the service Volodymyr Vikharev and Oleksandra Petrenko have confessed their Lutheran faith publicly and the congregation have appealed in a prayer to the Lord for these new members of the church. Please keep Volodymyr, Oleksandra and Natalia in your prayers. 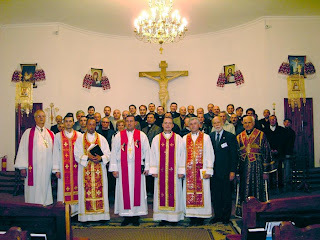 On October 20 and 21, 2010 Convention of the Ukrainian Lutheran Church took place in Kremenets. Rev. Steven Petersen has greeted the Convention on behalf of the Evangelical Lutheran Synod, John Moldstad and Bishop Horpynchuk has read a greeting for the Convention from the Wisconsin Evangelical Lutheran Synod President, Rev. Mark Schroeder. The delegates of the Convention have thanked both ELS and WELS for the support they provide to the Ukrainian Lutheran Church. The Convention has approved the work of the officers of the ULC and her committees. Rev. Neal Schroeder (WELS) has been the essayist of the Convention. His interesting and edifying essay was titled “Stewardship: some Scripture, statements, suggestions, stories”. The Convention delegates have discussed the essay and thanked Pastor Schroeder for interesting insights and for his help to the ULC. 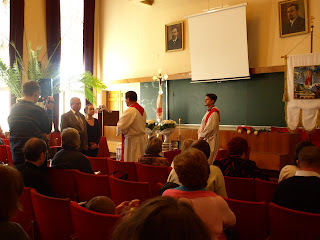 Pastor Neal Schroeder has also been the preacher at the Convention Liturgy where 2 new ULC pastors were ordained: Pastor Taras Bosiuk to serve at the Holy Trinity Lutheran Church in Simferopol, the Crimea and Pastor Oleksandr Kulchytskiy to serve in Tiraspol Lutheran Church in the Republic of Moldova. A special surprise for the delegates of the ULC Convention has been Holy Cross Lutheran Church children choir presentation. The next ULC Convention is scheduled for 2012. The Ukrainian Lutheran Church has launched her weekly Concordia radio-program on the local radio FM station in Kyiv - Radio Kyiv 98 FM (http://radio.kiev.fm). The radio-program is broadcast every Saturday at 7:45 p.m. Kyiv time. Bishop Horpynchuk is the preacher. The Concordia radio-program is directed for outreach in the capital of Ukraine, a city of about 5 million inhabitants. This program has become possible thanks to the WELS grant for the ULC. 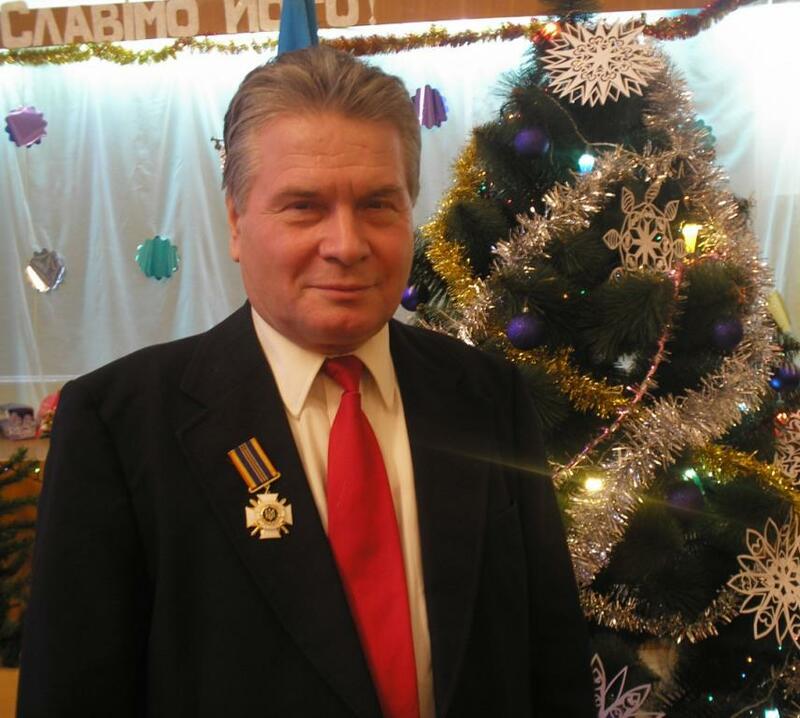 On September 28th Serhiy Nikolayenko, ULC Synodical Council member and a former President of the Council of the Resurrection Lutheran Church has been called to his heavenly home. Brother Serhiy was 73 years old. 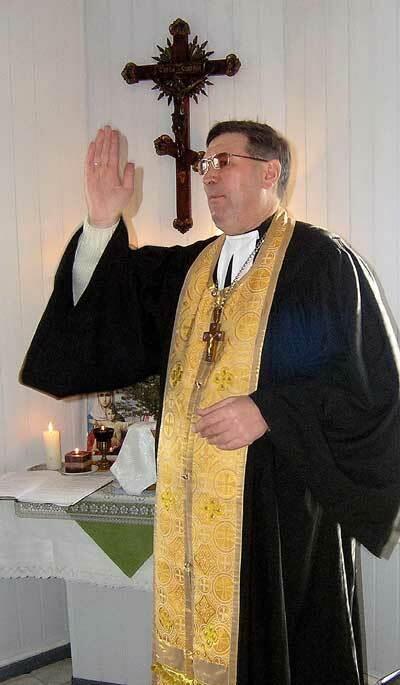 He has been a good and faithful friend, advisor and brother to many of us in the Ukrainian Lutheran Church. Our sorrow is sweetened, however by sure, comforting and truthful words of the Lord Jesus Christ, "I am the resurrection and the life. He who believes in me will live, even though he dies; and whoever lives and believes in me will never die" (John 11:25). We will see Brother Serhiy alive again in the time of resurrection. Please keep in your prayers Brother Seriy's closest family and especially his wife, Zoya. May the Lord, kind and graceful strengthen us with His Word and Sacrament! September 15, 2010. ULC Synodical Council meeting took place in Kyiv. The Synodical Council has approved reports of the Church Officers and Eparchhies Heads. 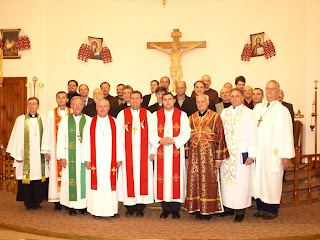 First Divine Calles were issued to Ukrainian Lutheran Theological Seminary of Saint Sophia graduates: Oleksandr Kulchytskiy (Tiraspol Lutheran Church in Moldova) and Taras Bosiuk (Holy Trinity Lutheran Church in Simferopol). The Synodical Council has also discussed preparations for the Convention in October to be held in Kremenets and other issues of the church life. September 10, 2010. The Lord has called Pastor Mikalay Badrusev to his heavenly home early in the morning. Pastor Mikalay was 58 years old and is survived by his wife, 6 children and several grandchildren. Reverend Badrusev has sereved two Lutheran congregations in Minsk and Zhodino that joined the Ukrainian Lutheran Church in 2009. The Lord Jesus Christ says, "I am the resurrection, and the life: he that believeth in me, though he were dead, yet shall he live" (John 11:25). We will see Pastor Mikalay in heaven or in time of resurrection of all the dead when Christ returns in glory soon. He says, "Verily, verily, I say unto you, The hour is coming, and now is, when the dead shall hear the voice of the Son of God: and they that hear shall live. For as the Father hath life in himself; so hath he given to the Son to have life in himself" (John 5:25, 26). Reverend Badrusev preached Chirst, the Life. He communed true body and blood of Christ shortly before leaving his earthly dwelling tent for heaven. He is with Christ now. Christian funeral of Pastor Badrusev's body was conducted by Bishop Vyacheslav Horpynchuk in Minsk, Belarus. 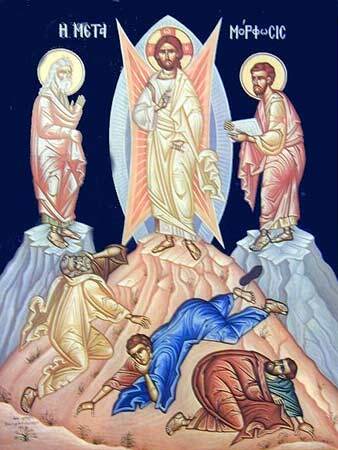 There Pastor Mikalay's body waits for the resurrection. Come, Lord Jesus! This year has been the tenth time that in the Ukrainian Lutheran Church the Vacation Bible School was held with the participation of the volunteers from the USA. 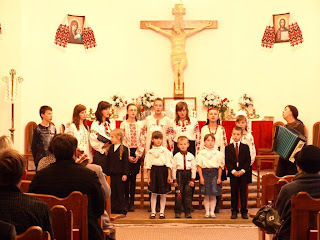 From July 04 to July 11 the building of the church was full of loud voices and bright, sincere smiles of the children of the town of Kremenets, Lutsk, Vorobiivka village, and other neighboring villages. Over a hundred of children every day were taught Bible stories, showed their knowledge in music, art and crafts, and just had an opportunity to speak English with the native speakers – volunteers from the USA that have come to Kremenets. All the children were great and they all had so much fun together. The best students from different states and colleges of the USA are as follows: Emily Helwig, Alyssa Ruege, Beth Schwartz, Tracy Traxler, Erin Mathiak, Krista Komay, Megan Lepke. Together with our children, in addition to studying, they took part in different suggested activities, tours around the town. All the teachers were working together with translators to ensure the understanding between the volunteers and children. The translators were the students and graduates of foreign language department of our local pedagogical institute and have proved their sufficient knowledge of English. They are as follows: Natalia Brodina, Alina Hontaruk, Pavlo Andreychuk, Alla Savchuk, Yulia Rubinets, Vita Rubinets, Yulia Chornooka, Lesia Pidhurska. As the translators also worked the pupil of Kremenets Specialized school #2 Larysa Brodina and a studentl ofa School of Shumsk, Uliana Muzychenko. 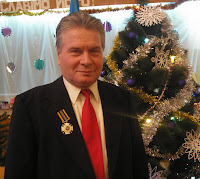 Music maestro Ihor Kravchuk has been working with the VBS for already ten years in a row by now. This year wasn’t an exception. He provided musical accompaniment in learning songs in Ukrainian and English. The children that took part in the VBS loved his lessons very much and enjoyed attending them since Ihor is the professional and he always knows what he’s doing. Also, sincere words of gratefulness are to be sent to Olia and Myroslava Tymofiivna Kozlenko, Oleksandr Yemets, and Pavlo Andreychuk who took care of the organizational moments of the VBS. An atmosphere of spiritual enrichment ruled the church during that week. According to the words of the parents the central hall of the church during the final concert was filled with spiritual singing of loud children’s voices. The final concert summed up the VBS and all the participants were very satisfied with their work. Lots of sincere words were said in the direction of those who organized the whole event. Special thanks are to be sent to Vasyl Andreycuk and pastor Roman Andruntsiv, and also to the professor Roger Kovaciny. We also express the words of gratitude for financial support, help and understanding to Kremenets businessmen Volodymyr and Tetiana Stefanski, Volodymyr Fendych. All the parents whose children attended our VBS this year were very satisfied that during summer break their children had such a great opportunity to study the Word of God from Bible, improve their knowledge in English, Art and Crafts, singing and just got a chance to relax. See you next year in our Vacation Bible School. 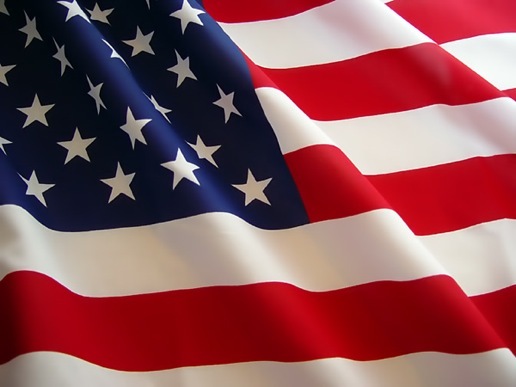 Happy Birthday to the United States of America and lots of thanksgiving to God for this country on the 4th of July! I thank our Lord especially for American Christians who were broadcasting Christian radioprograms to the Soviet Union, thus sharing the Word of God with many millions of inhabitants of that Evil Empire. 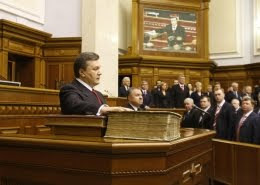 Ukrainian Lutherans thank God for those Americans who brought the Gospel as soon as the "iron wall" fell down and for those Christians in the United States who share their blessings by supporting pure Gospel preaching all around the world, and especially in Ukraine. You celebrate your country's birthday and we celebrate it with you together, prayerfully rejoicing. "Blessed is the nation whose God is the LORD; and the people whom he hath chosen for his own inheritance" (Psalm 33:12). Happy Birthday! Deacon Serhiy Berezin, Deaconess Emilia Zinchenko and Resurrection Lutheran Church President, Oleksandr Khyliuk, have visited orphanage in Potiivka, Zhytomyr Oblast. They delievered Easter gifts bought by the Resurrection Lutheran Church members and they also shared the Word of God with children in the orphanage. The trip was made in cooperation with the National "Ukraine for Children" Charitable Foundation, represented by Mrs. Iryna Kilariova. The visit has proven to be fruitful by letters exchange that takes place now between Deacon Berezin and children from the orphanage. Deacon Serhiy is explaining children the basics of the Christian faith in his letters. 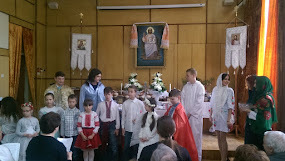 Some pictures from Easter celebrations at the Resurrection Lutheran Church in Kyiv, Ukraine. “I know that my Redeemer lives, and that in the end He will stand upon the earth… in my flesh I will see God” (Job 19:25, 26). 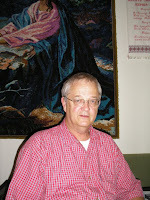 Dear visitors of the Ukrainian Lutheran Weekly Blog! Christ lives! 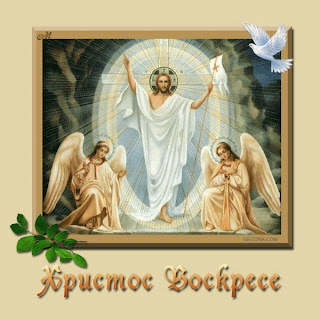 Please accept most sincere greetings from the Ukrainian Lutherans on these light days of Easter! Jesus Christ is our Redeemer, by His holy sufferings and death on the cross He has redeemed us from power of sin, devil and death forever. May He fill your heart and spirit with Easter joy, Christian faith, cheerfulness and confidence that Christ’s victory is our victory and guarantee of eternal life in the Kingdom of God. Eight ULC communicant members became graduates of the Diakonia School that was conducted in the Resurrection Lutheran Church in Kyiv. They are: Anatoliy Dmytrenko, Serhiy Berezin, Dmytro Prokopchuk, Emilia Zinchenko, Anzhela Horpynchuk, Hanna Kuchma, Svitlana Leschenko and Victoria Sukhotska. 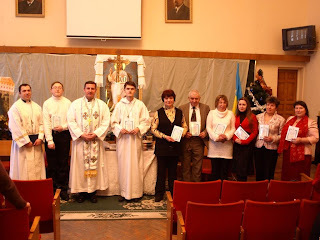 They received special Certificates from the Ukrainian Lutheran Theological Seminary of Saint Sophia and in the near future they will receive special tasks to "wait on tables" (Acts 6:2) in order to serve the needy and assist their pastors in other ways. With Christmas celebrations on January 7 (since Ukrainian Lutheran Church follows Julian Calendar as most churches in Ukraine do), 3 more men were invited to become communicant members of the Resurrection Lutheran Church in Kyiv: Dmytro Bobrynets, Oleksiy Boiko and Hryhoriy Samoilenko. After Catechism studies, examinations and public confession of their Lutheran faith, they were welcome into our fellowship. According to a long-standing tradition each of them was presented with a copy of the Ukrainian translation of the Book of Concord ( published by the LHF), a Luther's seal pin, and a white rose, symbol of Christ's righteousness. A nice New Year gift was received by Lutheran theology followers and good and qualitative Christian literature readers. The Lutheran Heritage Foundation has published the next volume of the People's Bible series in Ukrainian: Galatians/Ephesians. The book is written by Rev. Professor Armin Panning who is well-known to Ukrainian readers by his commentaries on the Epistle to Romans. The book can be ordered at local Lutheran congregations in Ukraine or by writing to my e-mail address: vhorpynchuk@hotmail.com. Have a happy and blessed New Year and pleasant, edifying reading! Ocotber 21 and 22, 2009. The 18th, annual Sobor (Convention) of the Ukrainian Lutheran Church took place in Kremenets. Key points of the Sobor included a wonderful essay of Pastor Serhiy Kudryk "I Believe in the Communion of Saints". Pastor Kudryk who serves Ukrainian Lutheran Church in Cerhnihiv has researched what it means to confess those words from the Apostle's Creed today. After many years of studies and negotiations the Sobor has incorporated into the ULC two Lutheran congregations from Belarus (Minsk and Zhodino) on their request. Pastor Badrusev is ministering those congregations. He has also translated the Book of Concord into Belarusian. At the Sobor Liturgy, a Saint Sophia Seminary graduate, Dmytro Didkivskiy, has been ordained to the Holy Ministry in Malyn, Zhytomyr Oblast. Special words of thanks were given by the Sobor to Pastor Neil Schroeder from WELS for his active part in building the ULC and charitable work among our nation. 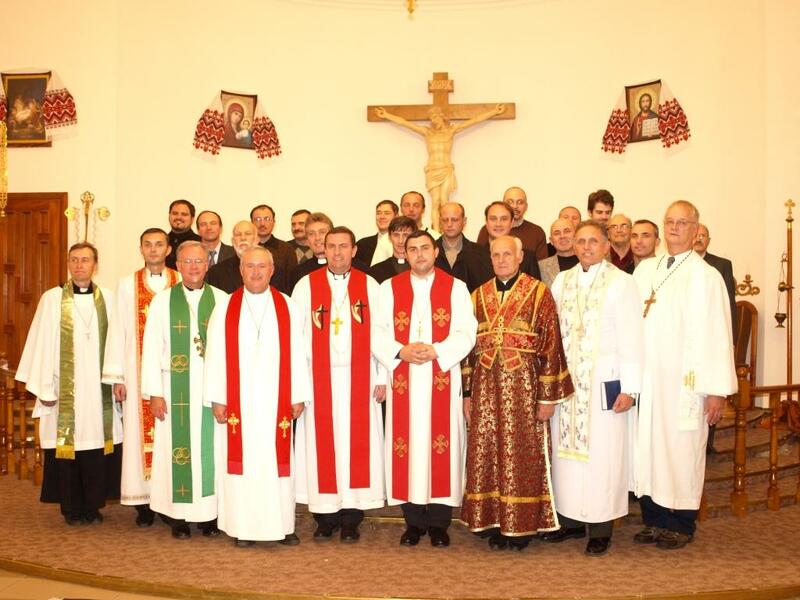 Three pastors were congratulated on 10th anniversary of ordination and pastoral ministry: Rev. Taras Kokovskiy (Head of the Galician Eparchy); Rev. 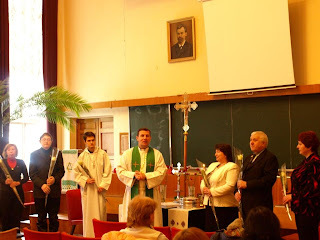 Yuriy Fizer (Pastor of the Nativity Lutheran Church in Kiev) and Rev. Andriy Honcharuk (Pastor of the Holy Trinity Lutheran Church in Kam'yanets-Podiliskiy).